Thanks to lone campaigner Nicholas Wilson, one of Britain’s biggest legal fees frauds is a step closer to a full investigation. On 9th December 2015, The Times (London, UK) reported that the Financial Conduct Authority’s (FCA) own Complaints Commissioner had issued a damning indictment of the FCA’s response to evidenced allegations of fraud by subsidiaries of HSBC. “The financial regulator will open a new investigation into whether HSBC overcharged customers who were struggling to make credit card repayments, after years of campaigning by a whistleblower. The Financial Conduct Authority, which has been issued with a stinging rebuke from its own complaints commissioner, said that it would “reconsider its decision not to look into allegations” that HFC bank, a subsidiary of HSBC, charged customers too much to cover the costs of trying to recoup missed payments. Nicholas Wilson has campaigned to bring the charges to the attention of the regulatory authorities. Mr Wilson has alleged that HFC’s practice of levying a charge on the cost of recovering arrears — taken as a percentage of the sum recovered and not the actual cost of the recovery — was unlawful. Having contacted the regulator in 2012, Mr Wilson made several more attempts to highlight the issue, including submitting a Freedom of Information request to find out what had happened to the investigation. Finally he got in touch with the office of the Complaints Commissioner. Antony Townsend, the commissioner, issued a letter on December 3, in which he said that the FCA’s actions were characterised by “delay and muddle” that “bordered on the farcical . . . The FCA should be transparent and, where it has made mistakes, freely admit it. In this case, the FCA’s defensiveness is wholly unsatisfactory.” The FCA should “offer a full apology for its serial failings” to Mr Wilson, the commissioner added. The evidence provided by Wilson relating to consumer credit mirrors a 2014 case involving HSBC Mortgage Services, investigated by David Gale, in which the bank and its lawyers are evidenced as charging legal fees despite having been warned that it was in breach of its legal obligations in respect of the Mortgage Pre-Action Protocol (MPAP). 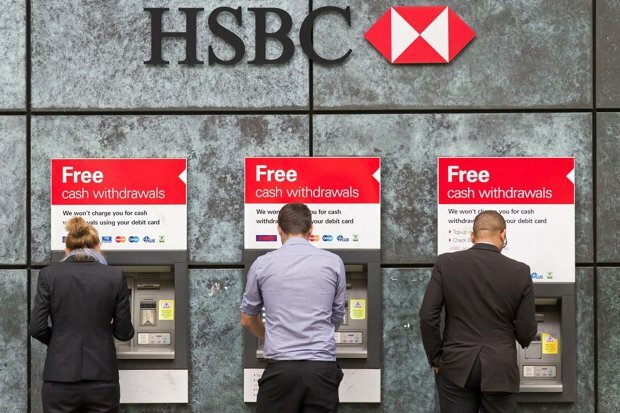 The individual lawyer responsible for a written alert to the bank was removed from the case as HSBC and its lawyers pressed on with legal action whilst withholding documents from both the respondent and the court. The Financial Ombudsman Service is evidenced as having claimed to have carried out a full review despite failing to respond to a coded page separator included within the evidence bundle.